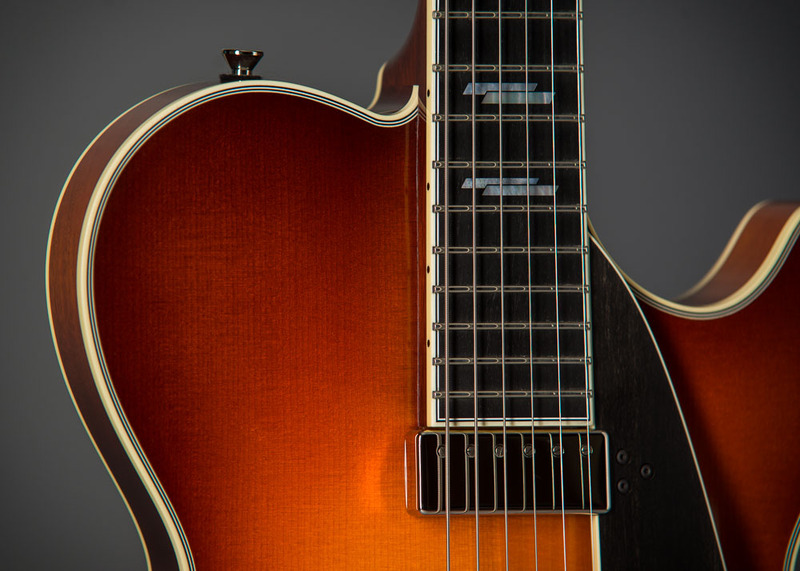 Thin, light, and exquisite, the City Limits Jazz commands attention. 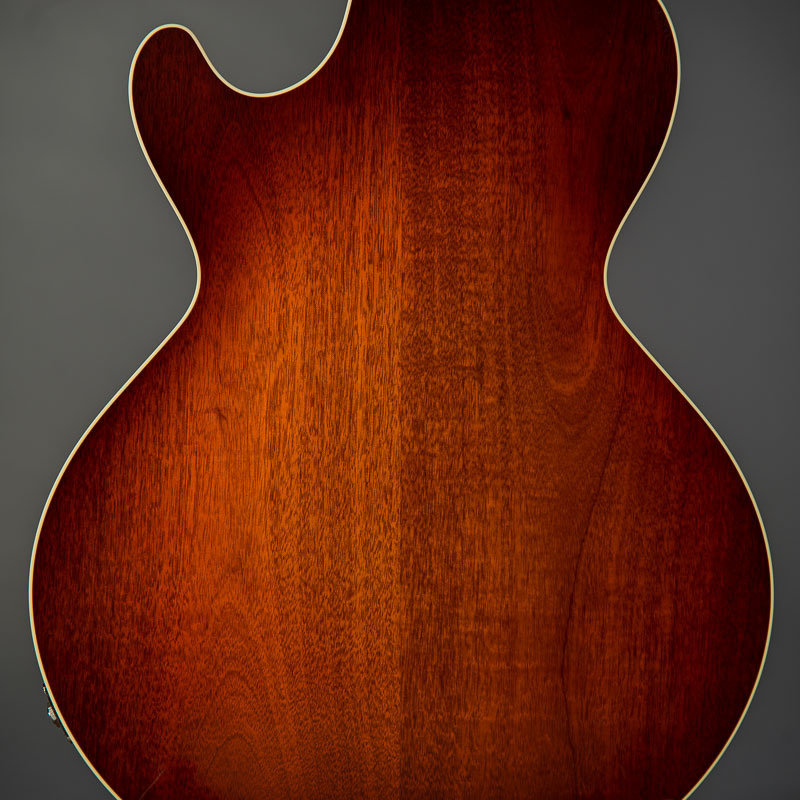 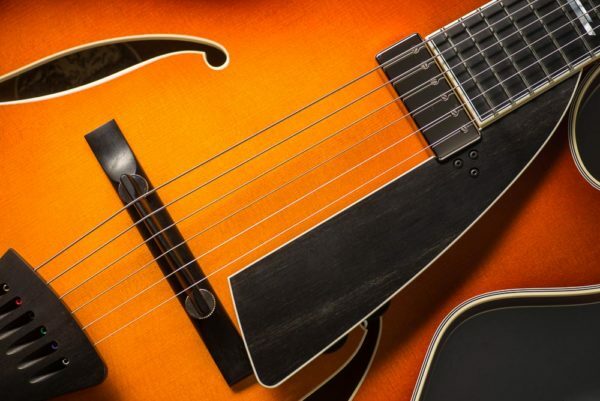 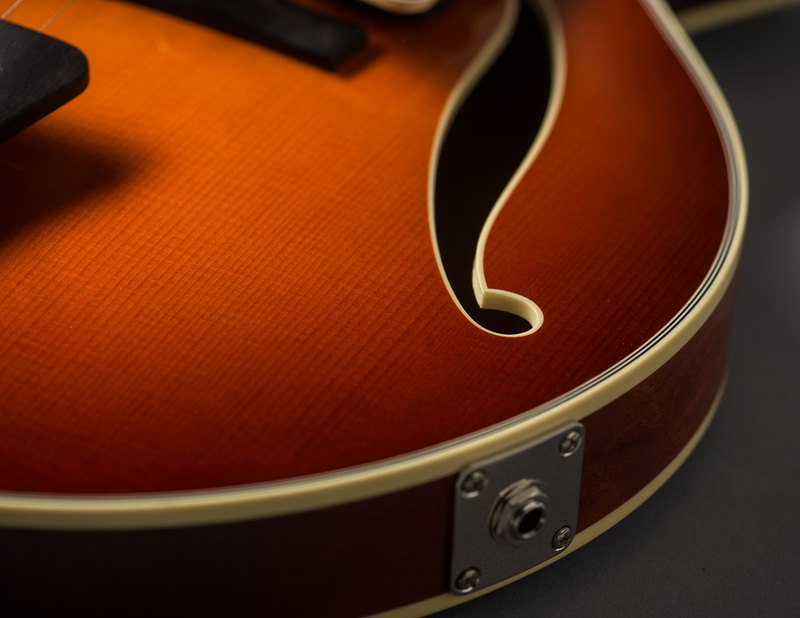 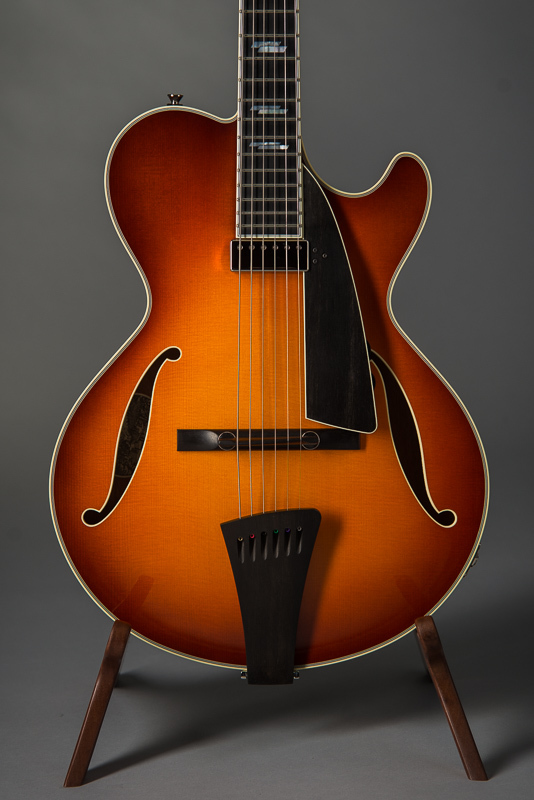 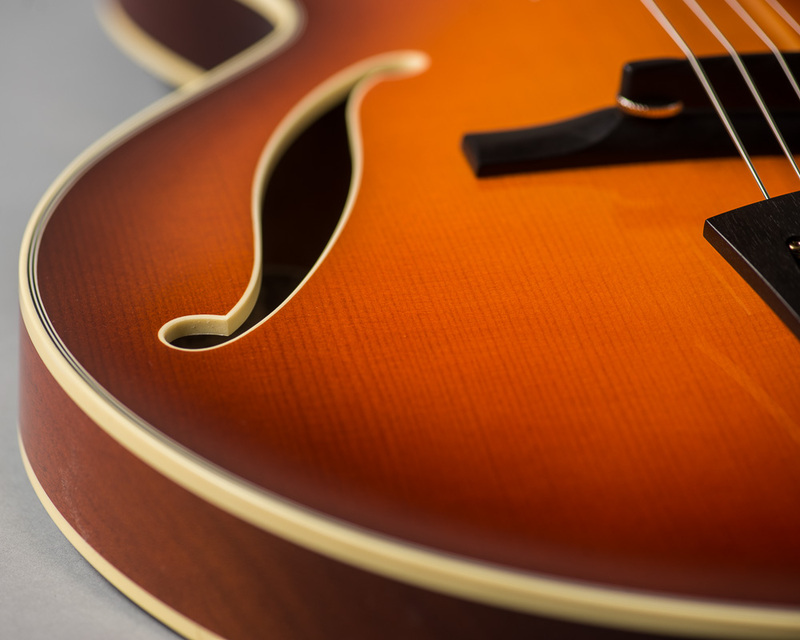 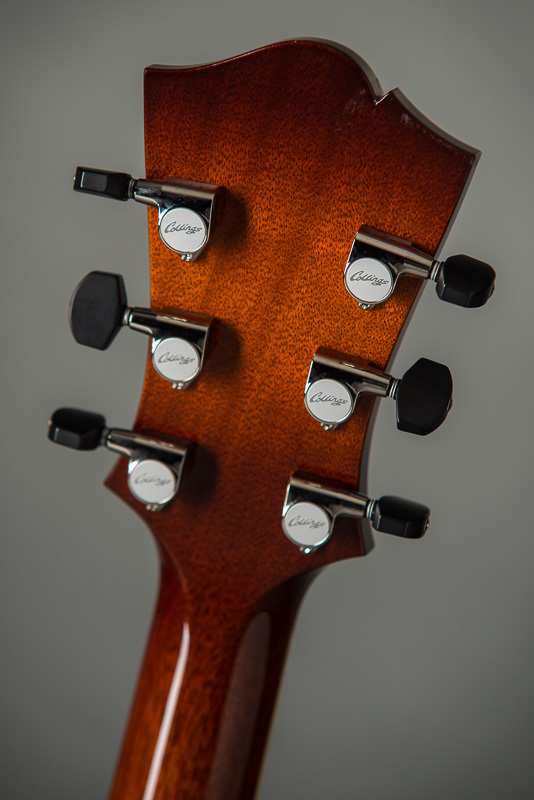 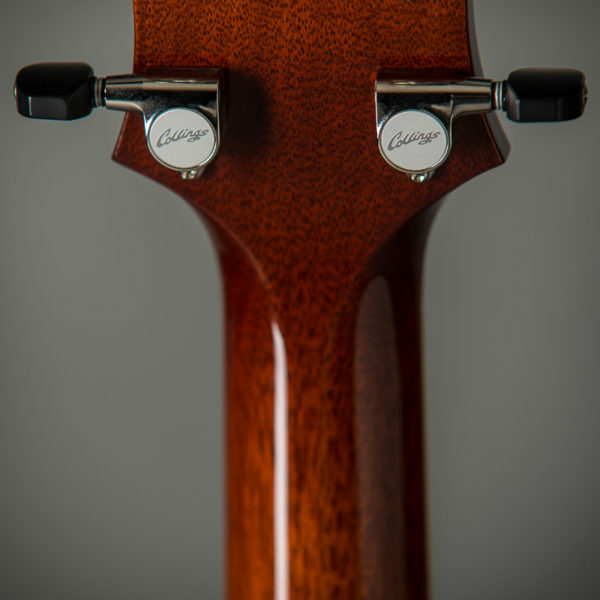 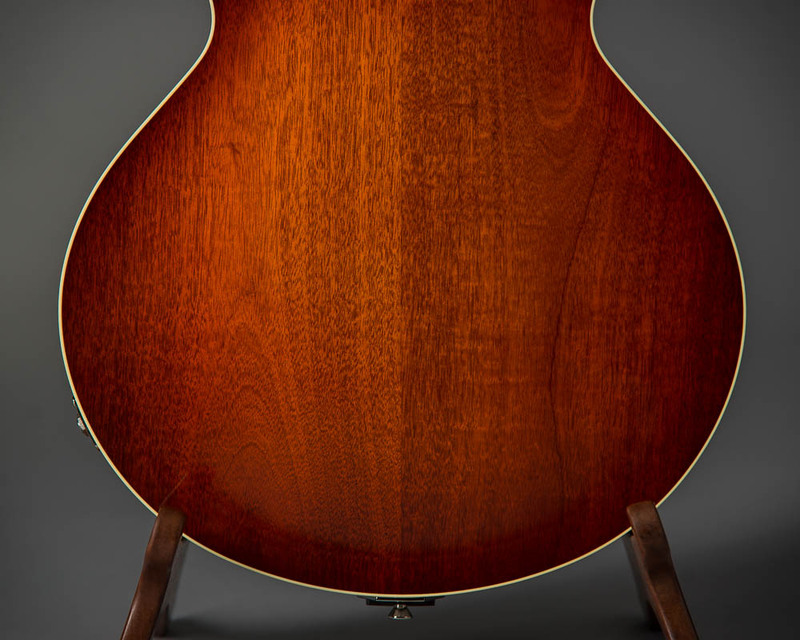 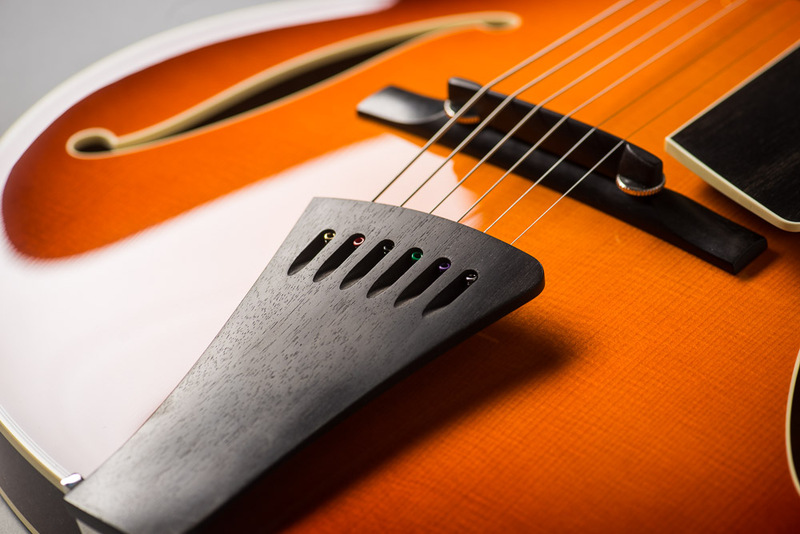 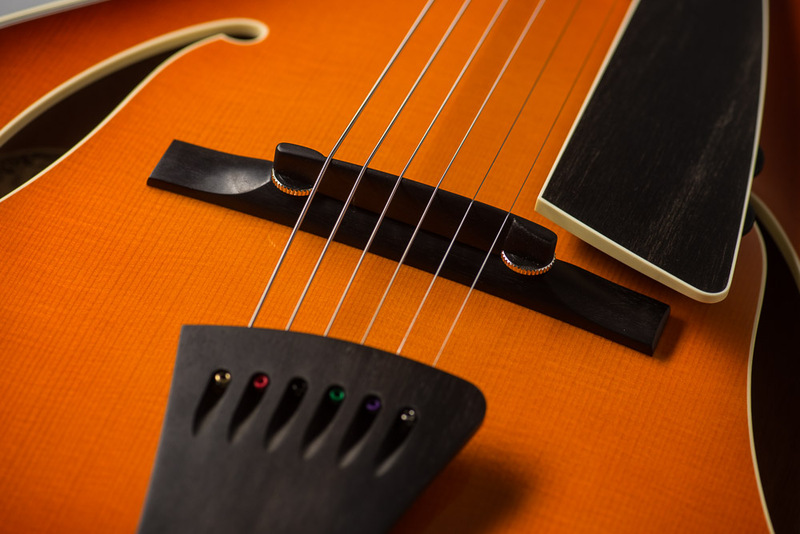 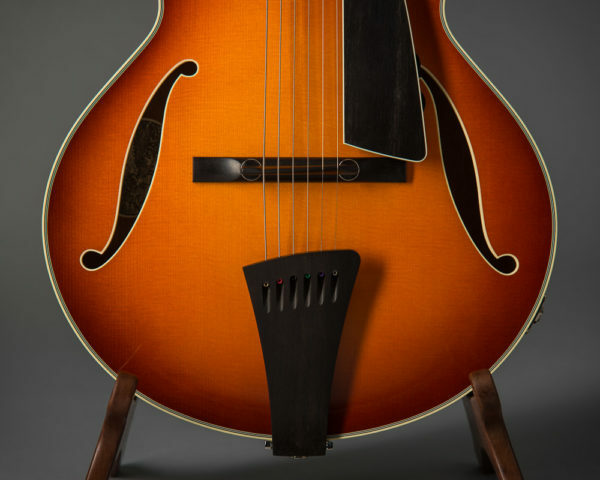 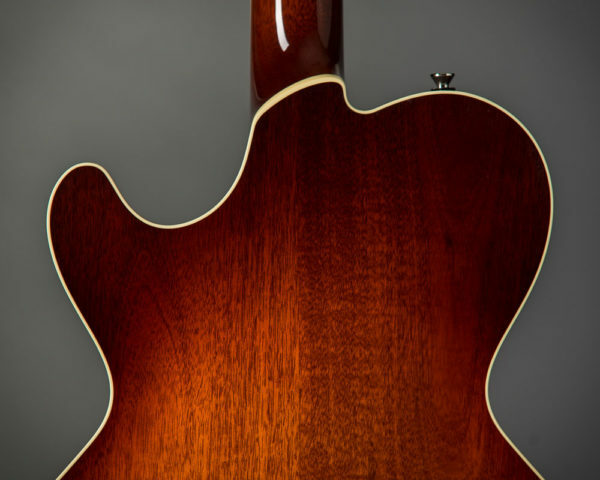 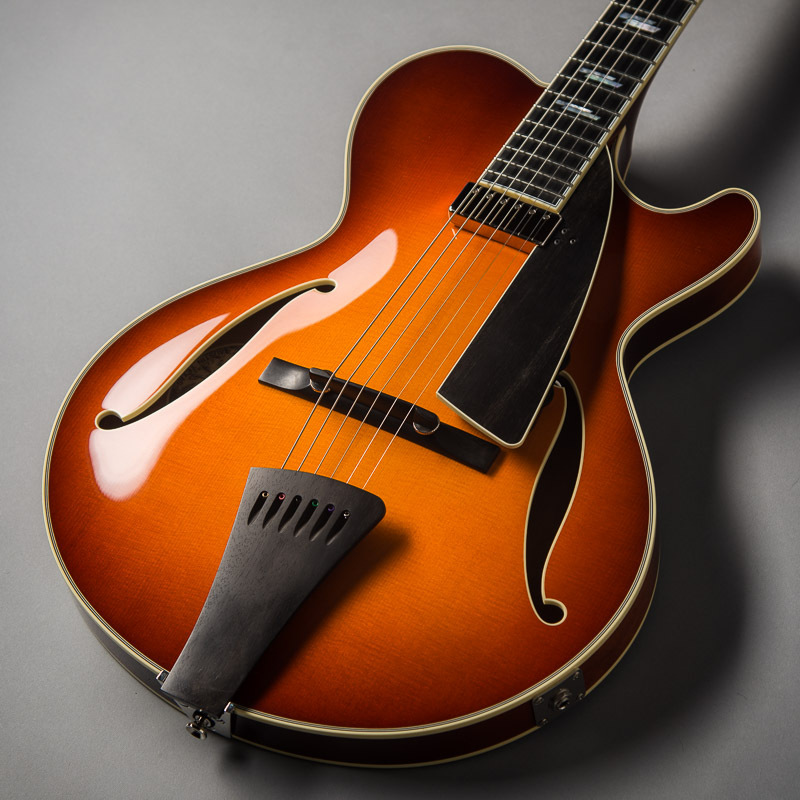 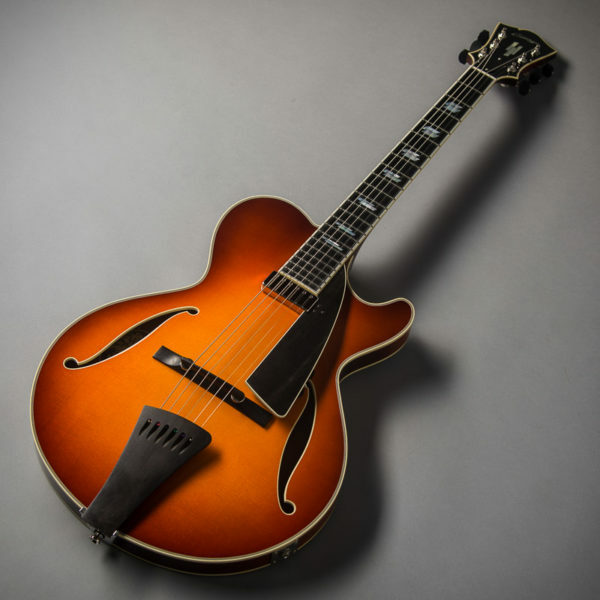 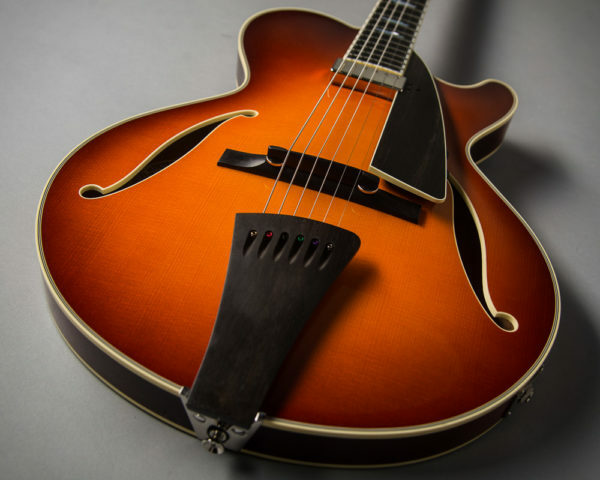 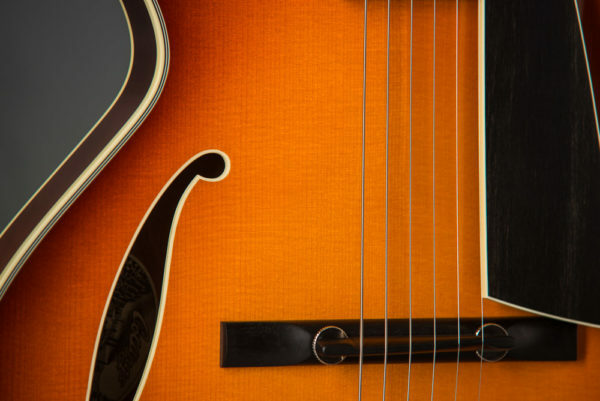 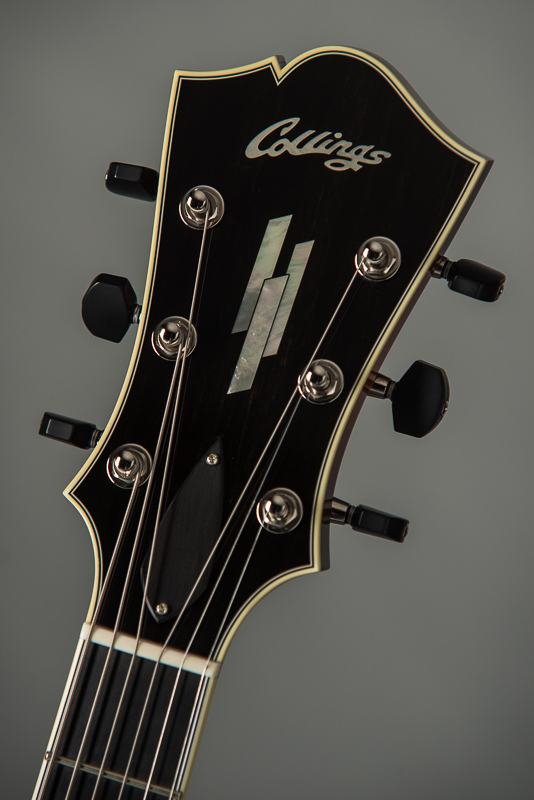 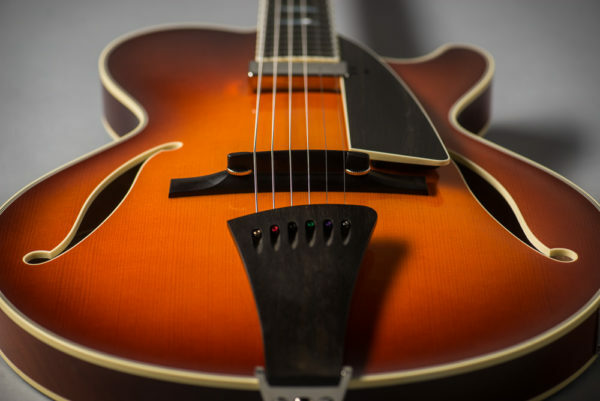 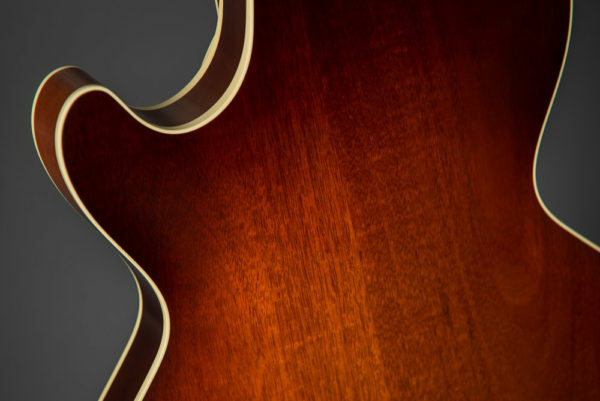 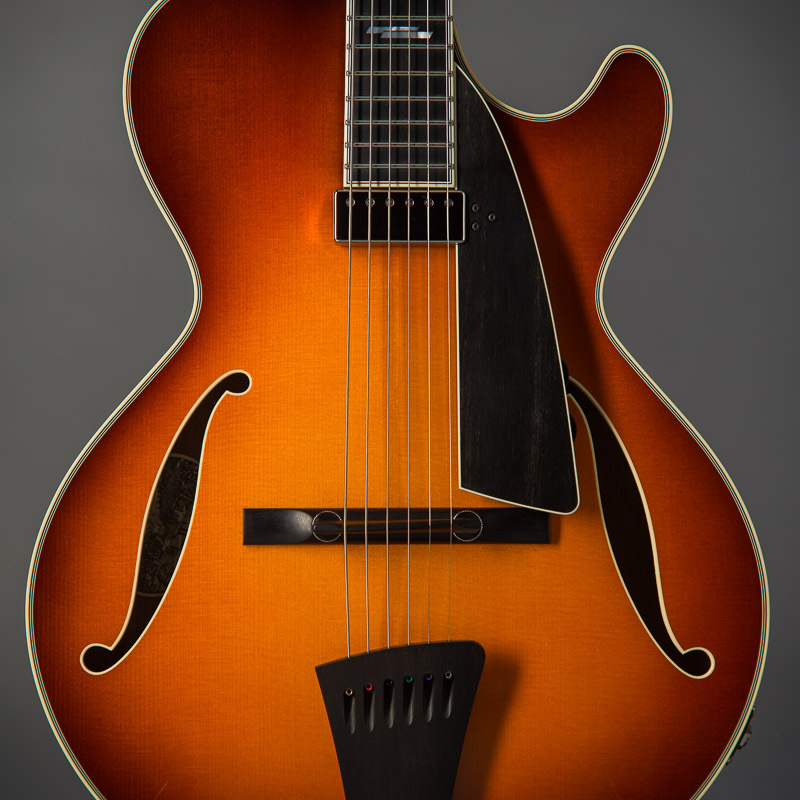 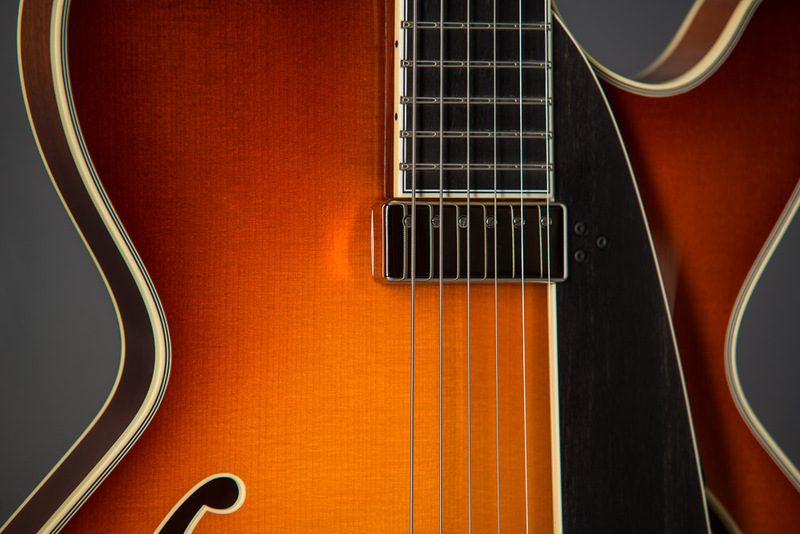 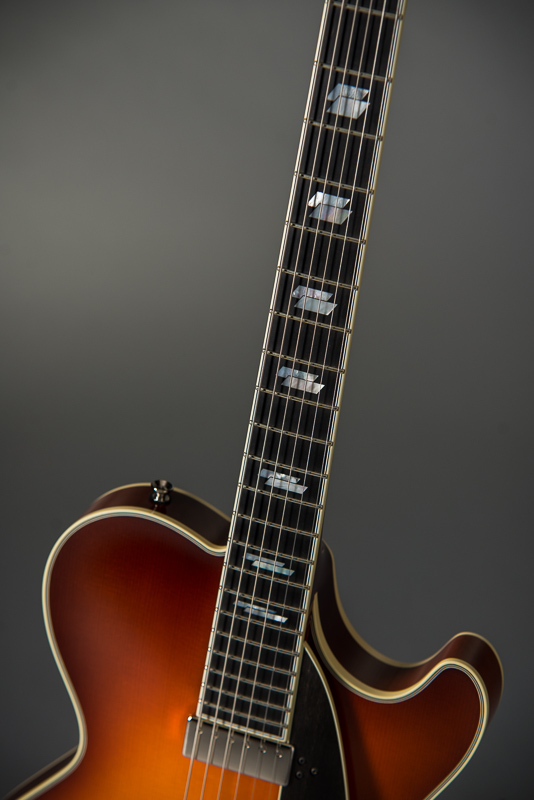 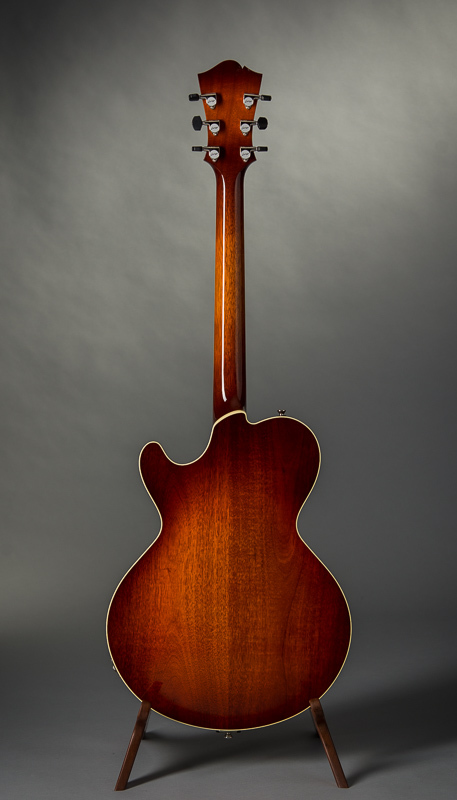 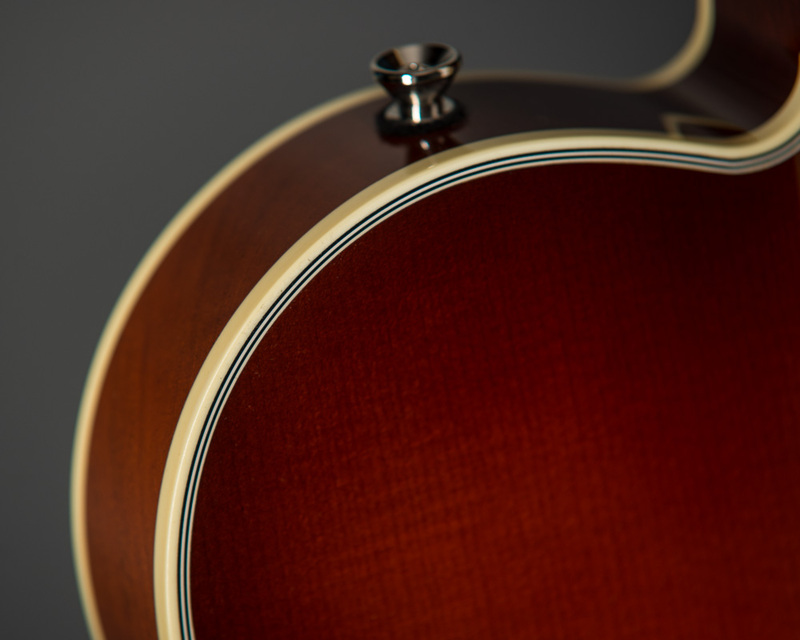 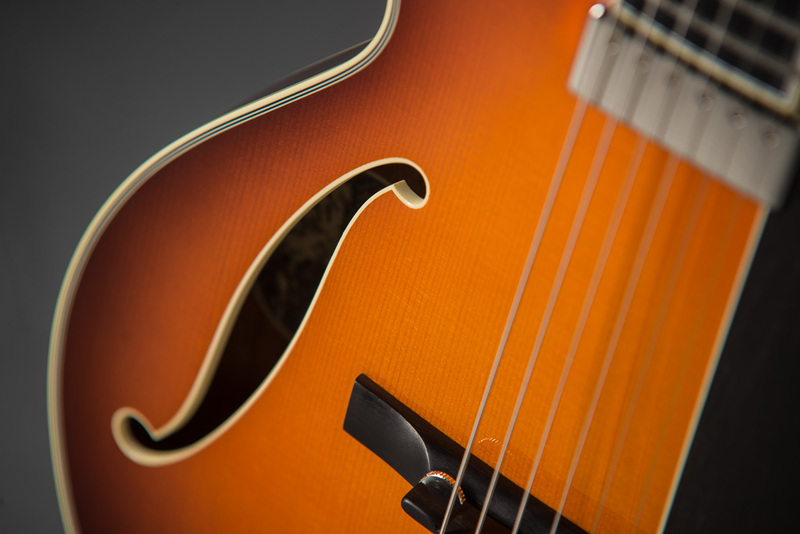 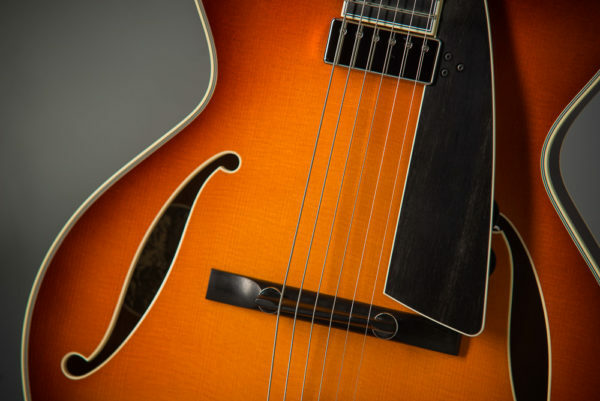 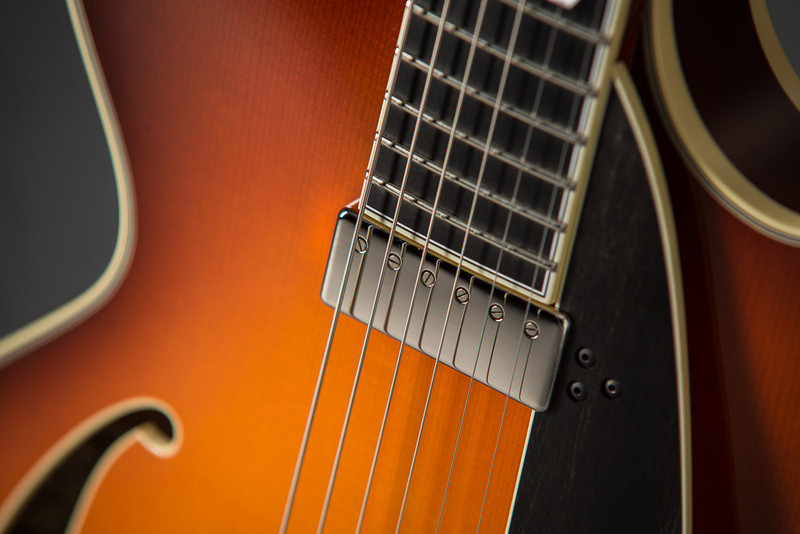 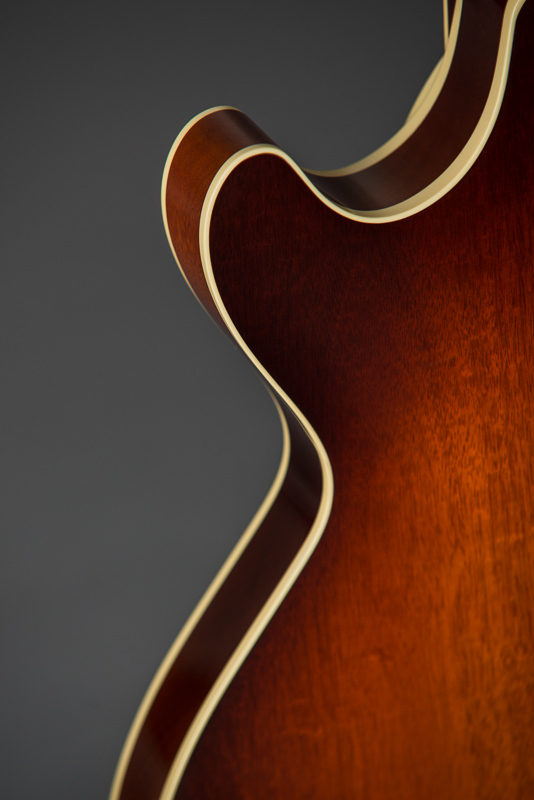 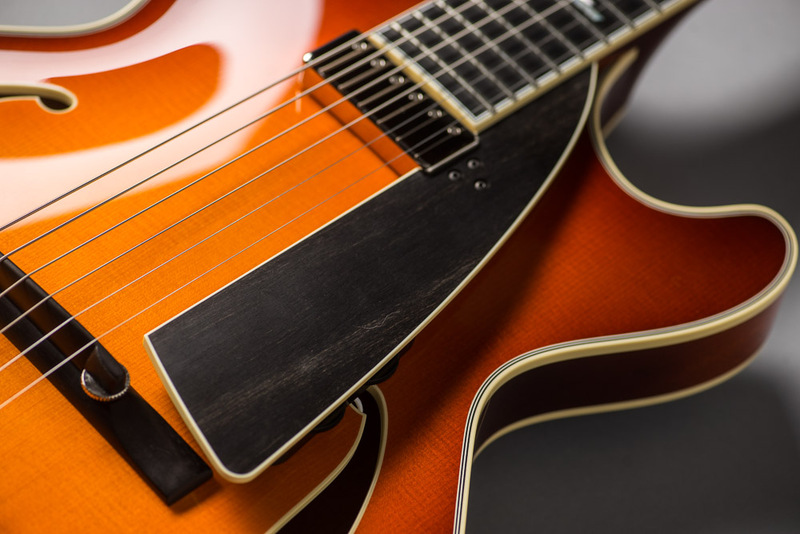 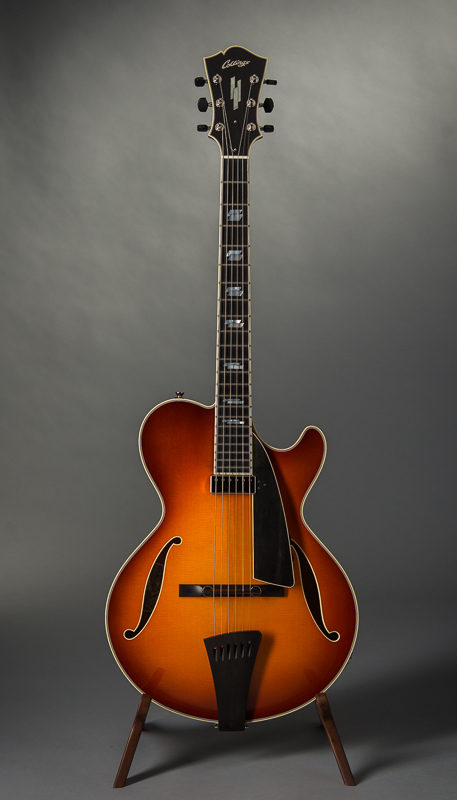 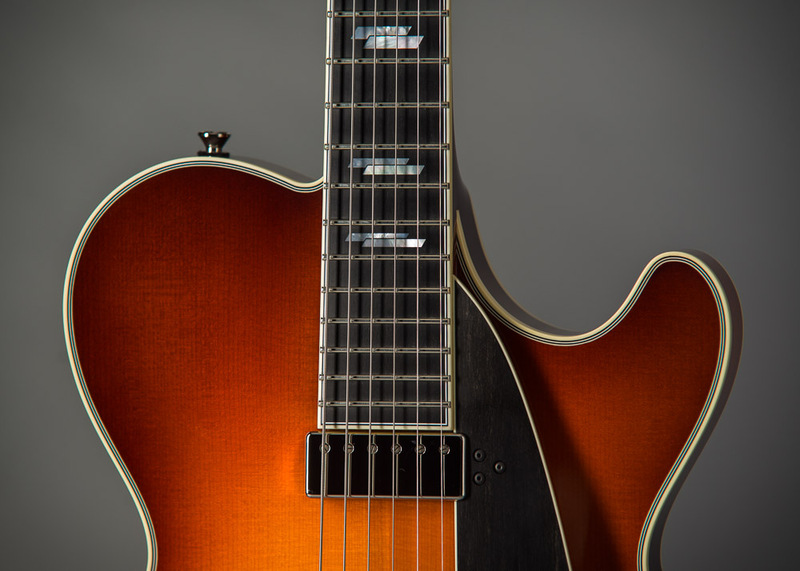 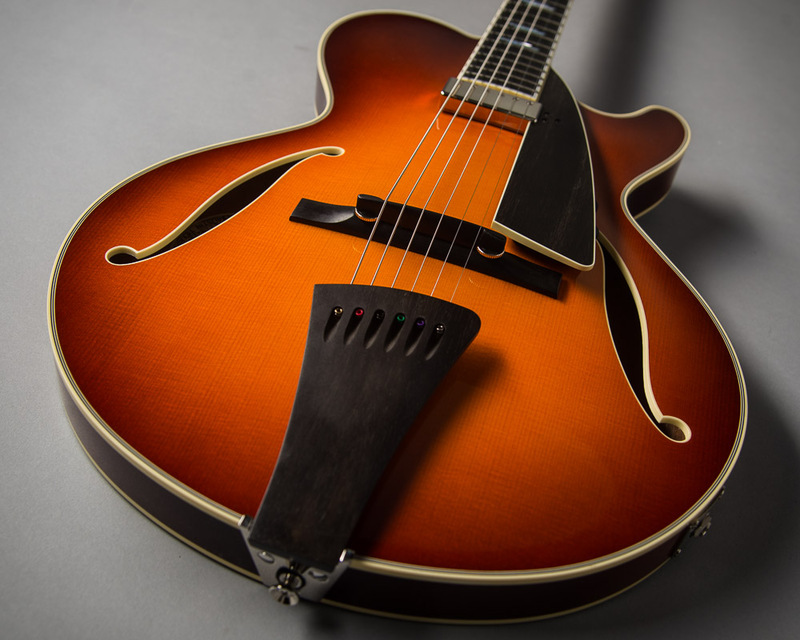 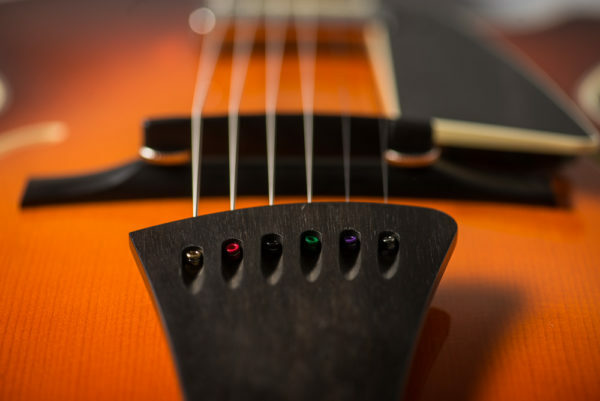 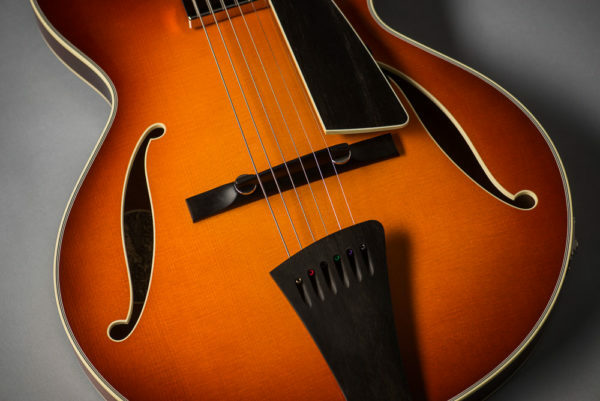 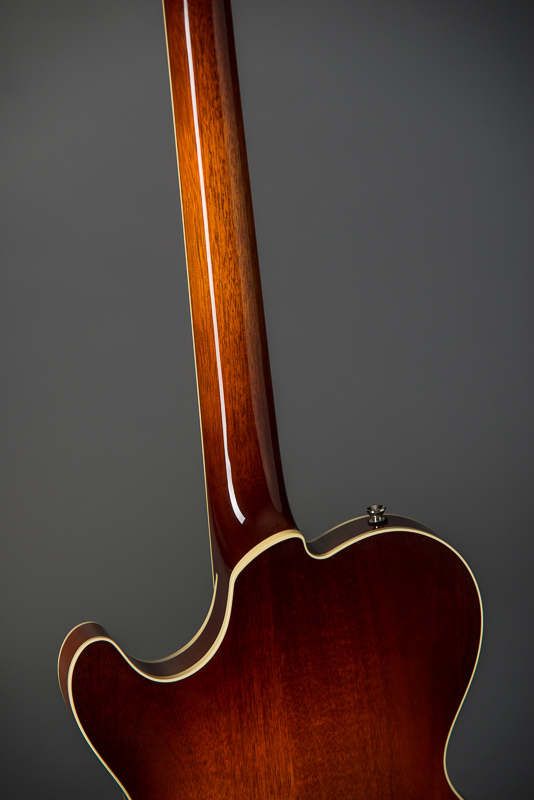 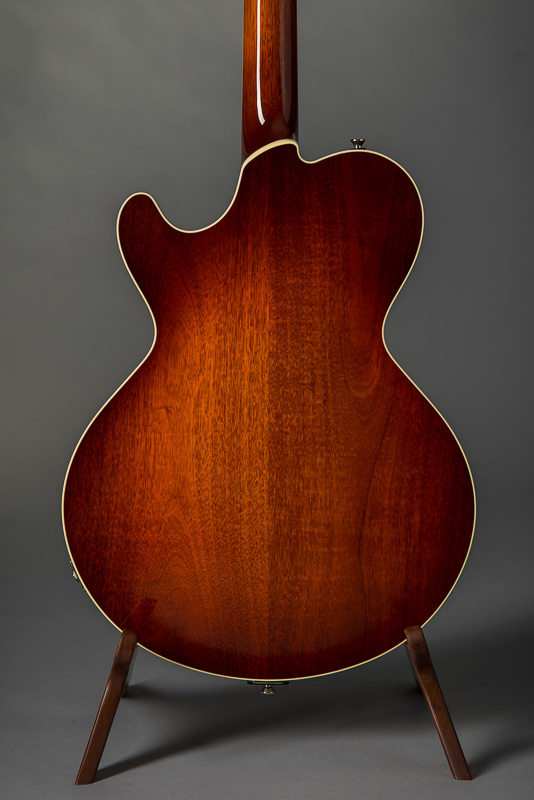 Built in limited numbers with a fully hollow Honduran mahogany body, carved European spruce top, and modern stylings, the CL Jazz is a lightweight and ultra-responsive jazz guitar that delivers detailed tone and rich harmonic complexity. 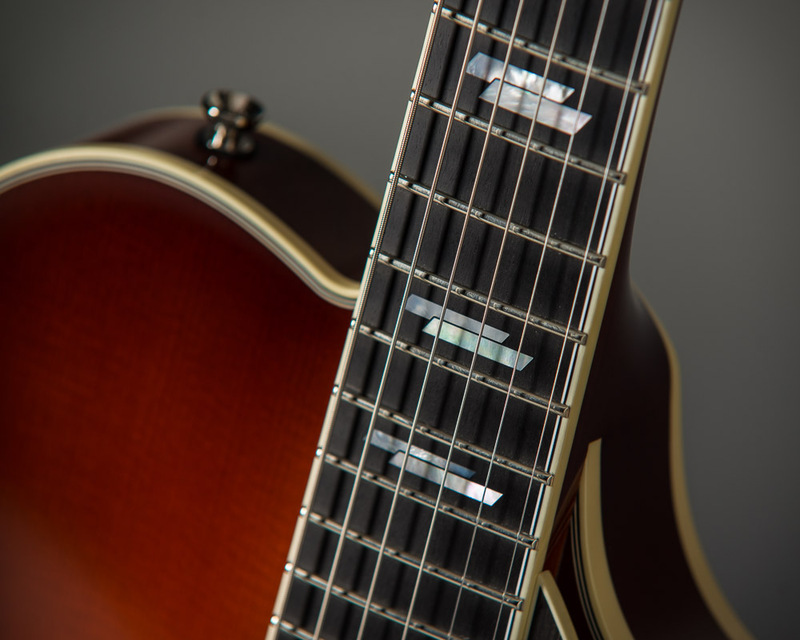 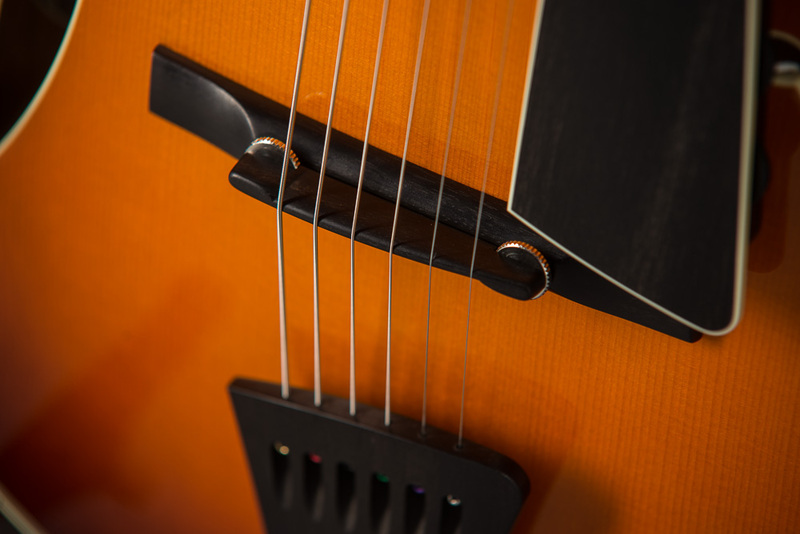 Sleek body contours combined with multiple black/white purflings, elegant bound S-holes, and choice of either our signature Broken Glass or Parallegram inlays make the CL Jazz one of our most elaborately appointed instruments.